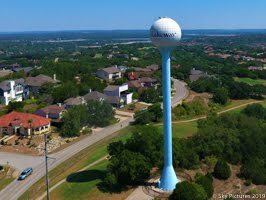 Lakeway Update: Weather, Lake, Election and More! Weather, Lake, Election and More! Looks like we missed most of the rain with this last front. A little mist last night but nothing measurable at the 15th Tee weather station. On the bright side, it looks like Thanksgiving Thursday will be nice. I hope everyone has a safe and wonderful Thanksgiving Day - we should all be thankful for our blessings! As far as Lake Travis - it is at 681.17 this morning. That is full + .17 feet. All the flood gates are closed and things are getting back to normal. The elections are over and the results are in (unless someone files a lawsuit). Here are the full final results. Lexus of Lakeway sold to the Penske Automotive Group. It will be interesting to see what changes. We will miss the previous owner, Vicki Roberts Howard, I hope she stays active in the Lakeway area. Her generosity has improved the lives of many in the area. She was a great supporter of the schools and police and much more. The Lakeway Police Foundation is selling personalized paver / bricks in the front sidewalk of the new police facility. The money raised goes to the foundation that benefits our police officers and their families. It is a great organization and takes care of our fine officers - please consider buying a brick! Here's a link to the site - thanks for your support! Bee Cave - Did anyone else see the accident on northbound Bee Cave Parkway across from the Galleria entrance last Thursday morning? I didn't get a picture (we were already late to an appointment), but a semi jumped the curb and took out one of those large power poles that are too close to the road. It took out the right side of the truck and of course the pole - the cables were hanging low. If anyone has a picture and is willing to send it to me I think it is of interest. Looking forward to the Sundancer opening (soon hopefully)! They had significant damage I suspect since the water was up nearly to the top of the garage style doors. The marina looks like it's getting back to normal too. Now we need some more warm weather. Here's a link to a 360 at the marina. Use your mouse or finger on your phone to look around. The Medical Office Building has iron sprouting up from the foundation. This project is really starting to take shape. Springhill Suites is also coming along. The exterior finishes are going on now and I'm sure they are working on the interior. I'll be taking some photos of other area projects in the upcoming weeks. Stay tuned for updates on all the area projects including but not limited to Jason's Deli and the La Quinta, the condo's on Lohmans Spur and maybe some Christmas lights. It's the Holiday Season - Christmas Decorations are already sprouting up all over - didn't that usually happen after Thanksgiving??? Please be careful on the roads, and be kind to other drivers. Let's help the traffic by being courteous to others! You might be surprised how well it works. That's all for today. If you need photo's please let me know - visit Sky Pictures website for examples. Don't forget the weather station at the 15th Tee for local weather too. If you would like to be added (or removed) from my email list, send a note to lakeway@bain.us and I'll get it done.